Within the sunny confines of Los Angeles lies a region known as San Pedro. Formerly a city in its own right, the area merged with Los Angeles in the early 1900s and evolved with the city at large from there. Though once known primarily for the section of the port that is located there, modern-day San Pedro has a lot more going on than shipping and fishing. There are dozens of reasons to want to live in this shining community, but today, we're going to narrow things down to five awesome reasons you should be searching for apartments in San Pedro, CA. Being located in Southern California, it should come as no surprise that the weather in San Pedro is warm and appealing. Since San Pedro is close to the water, it ensures that year-round, the temperatures are generally mild and not too extreme. The average daytime temperature is about 62 degrees, while at night it is usually 10 to 15 degrees cooler. The area gets about 11 inches of rain every year, and snowfall is virtually non-existent. Beyond that, though, the area San Pedro occupies looks beautiful. The views of the ocean are stunning. You can't dismiss the port and various ocean overlooks. The buildings have a unique charm to them. There are urbanized sectors, but no towering skyscrapers that obstruct your view in this part of the city. The nature areas and parks are lush and quaint. There are also a few points of interest that newcomers will want to check out. These include landmarks like the Vincent Thomas Bridge, the 1,500-foot long link between San Pedro and Terminal Island. There's the USS Iowa, a battleship that now serves as a museum, along with the L.A. Maritime Museum, another tribute to the history of traversing the water, in addition to the SS Lane Victory, another museum ship that also serves as a National Historic Landmark. San Pedro has an aquarium, lighthouse, and many other sights to behold that will get you interested. All-in-all, it's a well-positioned enclave by the sea that exemplifies the beauty and comfort of the city. One thing many newcomers to San Pedro note is how friendly everyone seems. San Pedro bills itself as a "real & original community," one that still has a lot of locals who were born and raised there. They stress that they are down-to-earth, polite, working class, and proud of their history and heritage. They'll welcome anyone with a similar respect that sense of community, so it's a good place to come to if you too are friendly, welcoming, and value showing respect to your neighbors. On top of that, San Pedro is representative of some of the diversity you can find in Los Angeles. In it's earlier days, it was a draw for many European immigrants, whose influence on the community can still be seen and felt today. San Pedro has the largest Italian-American community in Southern California, along with sizable representation from Mexican, Irish, Greek, and Croatian culture. In addition to the museums, aquariums, and close connection to the sea, San Pedro also has a connection to the arts and culture. The Art District, located near the waterfront, plays home to many galleries, theatrical performances, music events, film festivals, and more. Things like the First Thursday Art Walk, which has been a staple of the community for 18 years running. Or the San Pedro International Film Festival, which recently celebrated its fifth year of honoring the tradition of cinema. Artist's of all stripes are welcome here, and as a resident, you'll be right there to support and view their impressive work. 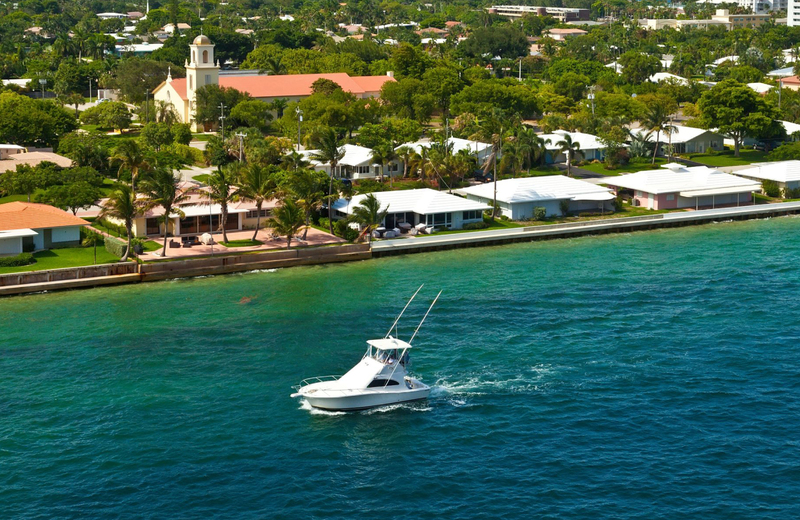 San Pedro has many parks and nature areas, several located right on the water. There's White Point Royal Palms Beach Park, which, as the name suggests, is right on the beach. It, and several other park areas, give you serene views of the ocean and marine life, have plenty of picnic space, and are a great place for either a solo or family adventure. Other options include Angel's Gate Park, home of the Korean Bell Of Friendship. This area has wide open grassy fields, a view of the ocean like no other, and is close to the Point Fermin Lighthouse. If you want to take a day trip to check out those important and historical monuments, this is the place to do it. It's part of Los Angeles, and indeed, you can hop on the highway, head north, and see the rest of what the city has to offer. Sure, they'll do some filming in the area from time to time (like Mad Men), but when you're right in San Pedro, you're in a world apart. It's a community all its own, despite the proximity to Los Angeles as a whole. Are at The Vue. This luxury complex blends the local atmosphere with undeniable style to create a living experience that is equal parts tradition and elegance. Located in the heart of its neighborhood, The Vue gives residents access to that local authenticity, along with all the entertainment, food, and other options that come with it. As for the building itself, it's a lovely, modern structure that exemplifies lofty apartment standards. On-site, there are first-rate amenities like yoga studio and resort-class pool. The floorplans are numerous, featuring one, two, and three bedroom options that are spacious and accommodating. Building staff is friendly and helpful, just like the area you're living in. It's like a getaway, everyday. Make this warm, community-focused paradise your home, check out what The Vue and San Pedro have to offer today.